A dramatic daylight finish for Leg 1 of the Volvo Ocean Race is in prospect as high winds of over 25 knots are forecast for leg leader Telefónica (Iker Martínez/ESP) when she crosses the finish in Cape Town later tomorrow afternoon. 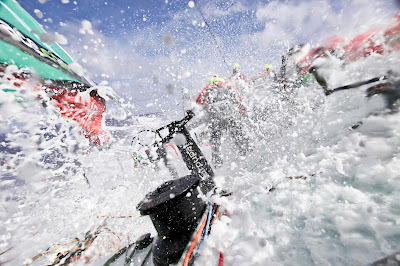 Martínez and his crew have protected their lead and, by remaining in a southerly position for as long as possible, they were able to achieve high speeds as they rode the westerly cold front for longer. It wasn’t until 0400 UTC this morning that the team gybed and cashed in their chips, translating the lateral separation into distance ahead , which could end up being substantial. 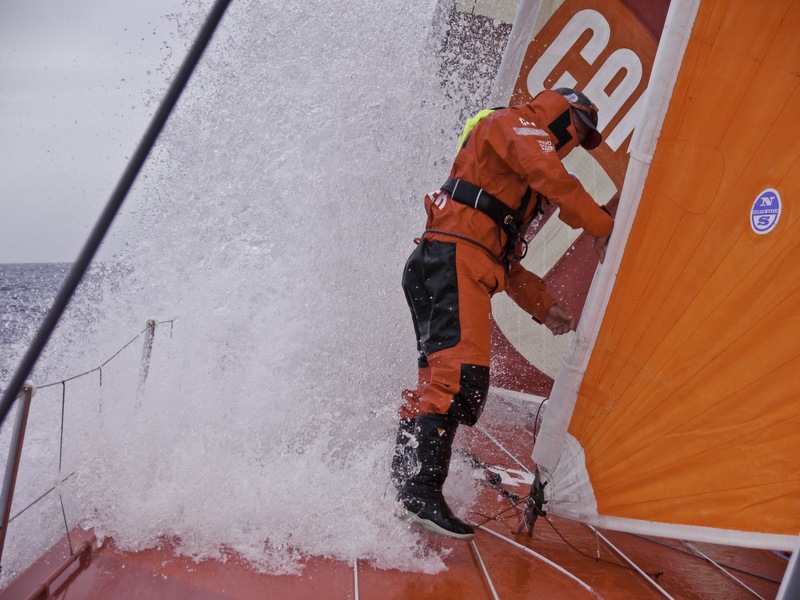 Further north, CAMPER (Chris Nicholson/AUS) was forced to gybe early at 2100 UTC yesterday after putting up a good performance. 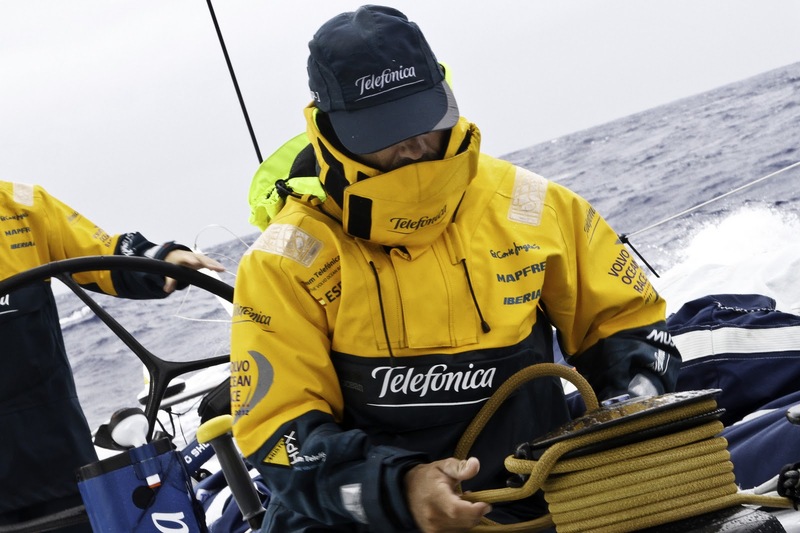 From their position, CAMPER will now have three to four knots less breeze - around 15 knots - than Telefónica . For this pair, it is now a question of holding it all together for a straight line sprint to the finish. Meanwhile, Groupama 4 (Franck Cammas/FRA) still have choices to make. The team did not decide to go south yesterday and it is unlikely they will choose the southerly option now, although they are in desperate need of freeing themselves from the light wind area in which they are trapped. 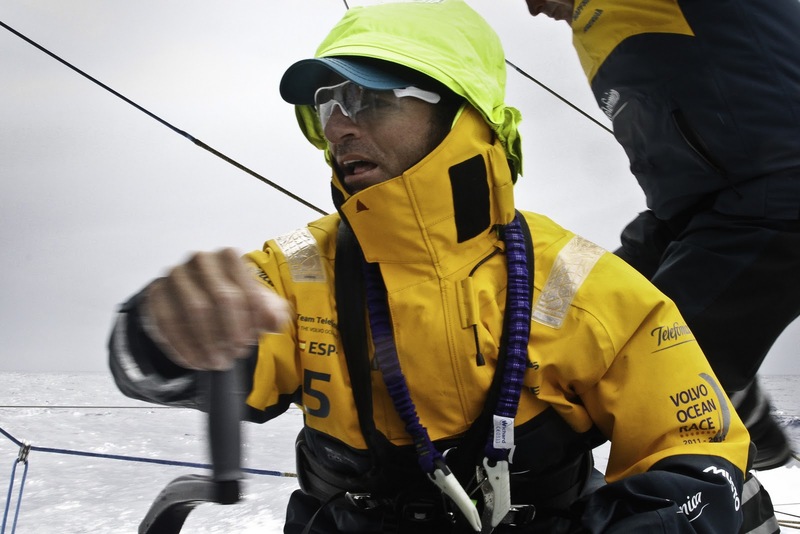 Their fastest escape route could be to sail northeast, but this would mean upwind sailing in very strong winds of 30 – 35 knots and a big swell for the last 50 nautical miles, boat-breaking conditions which the team will want to avoid if possible. Estimated arrival times are now becoming more accurate as the fleet nears Cape Town and computers are predicting that Telefónica will cross the finish on Saturday at between 1500 – 2000 UTC. CAMPER will be around 0300 - 0900 UTC on Sunday and Groupama 4 overnight on Monday.